Well it is now the start of the New Year 2012 so firstly Happy New Year from everyone at Twistfix but what a start to 2012 we have had! With gale force winds and storms and not to mention the rain everything has gotten off to a damp start but you need to ensure you keep the damp from leaking into your homes. Firstly what you need to do is to ensure that your roof of your home is not leaking and letting in water. If you have a flat roof then you need to ensure that this is checked and any roof repairs are carried out as soon as possible to effectively waterproof the roof. 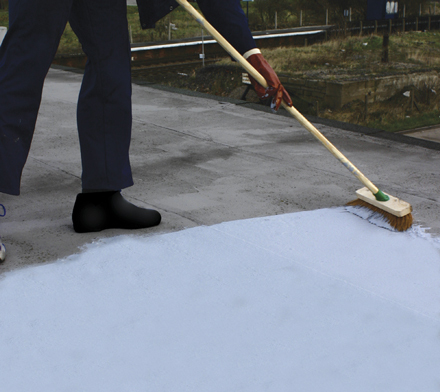 One really easy way to waterproof a flat roof in an emergency and a way which offers permanent results is to use roof sealer paint. This is so much more than an ordinary paint and is great at keeping damp at bay. It can be used in an emergency and is actually an fibre-reinforced acrylic roof sealant and provides a flexible waterproof coating. It can instantly waterproof any leaks in the majority of roofing materials. Even with all this rain we have been having the roof sealer paint will not wash away even when it is curing. It will withstand ponding and is currently the best roof sealing paint available on the market. Coverage is around 1-2kg per square metre on average and we sell it in a 5kg tin. To apply it you simply use a brush or spatula. Secondly what you need to do is check in your loft for any gaps or holes caused by loose or cracked tiles. If you have a leaking roof you may need to spray seal beneath your roof covering to eradicate damp and help with insulation. Our roof loft insulation spray is great for sealing off any loose or cracked tiles. 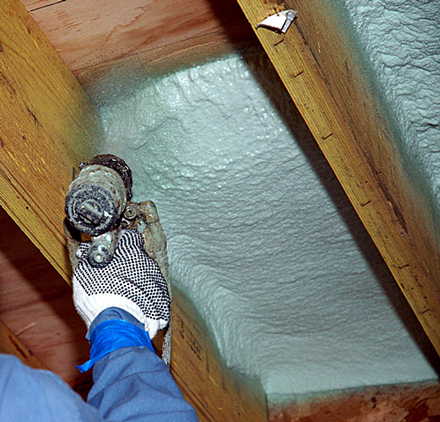 The roof loft spray insulation works by spraying it into loft spaces beneath the roof tiles and allowing it to expand. In allowing it to expand you effectively let it seal and insulate the existing structure. Specialised nozzles allow precise application. By using the foam you eradicate air gaps, rain-water ingress and ultimately damp. Take a look at exposed walls, especially the south and east facing that are most likely to be battered by driving rain. If brickwork or masonry is porous there is a danger that penetrating dampness may result. Penetrating damp treatment can be used to stop driving rain from saturating the walls. 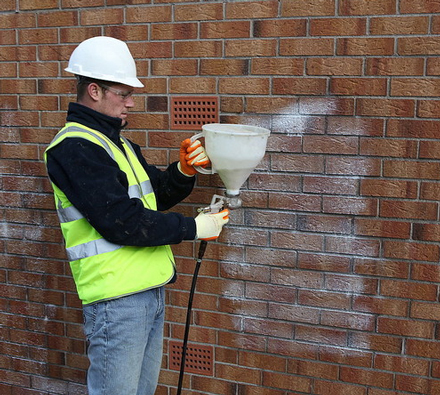 This can be applied liberally to buildings by a brush, roller or spray and will prevent water and damp from penetrating through the external brickwork, blocks or stone. Rather than forming an impervious damp proof membrane the treatment provides a water repellent silicone resin lining to masonry capillaries in order to repel water whilst allowing the brick and stone to breath. Protect your home from damp in these treacherous weather conditions and do not put your home or your health at risk.